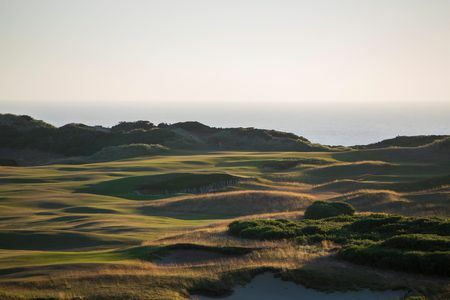 The Pacific Dunes course at Bandon Dunes Golf Resort is unsurpassed in North America, earning favorable comparison even with the legendary Pebble Beach. Tom Doak laid out this links on a site where no development clutters the view, and it blends seamlessly with its surroundings. The course is welcoming but not easy, in part because of the exceptional bunkers. 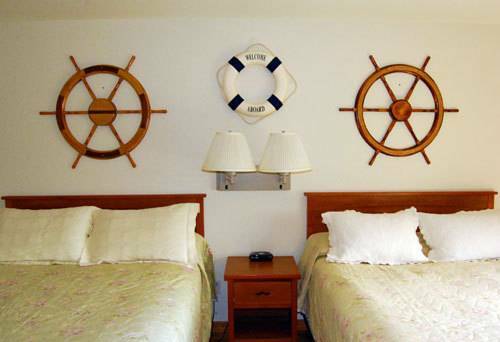 Every hole is a delight, but those by the ocean are especially memorable. 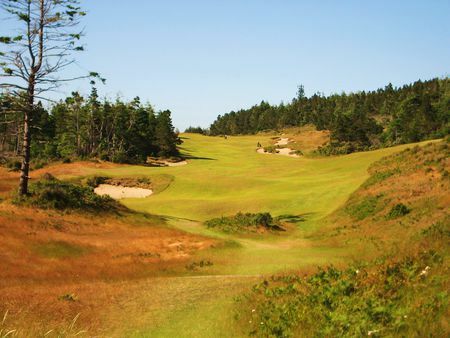 A good example is the 11th: the tee is perched on a cliff overlooking the ocean, the tiny green looks even tinier nestled in the fescue grass, and things get really interesting when the gusts come off the sea. 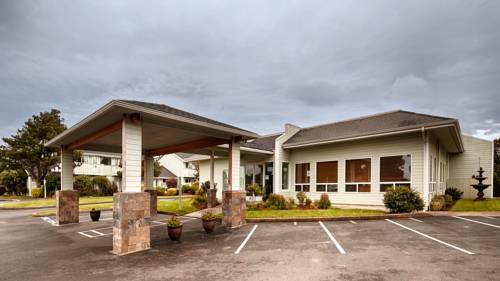 The contemporary clubhouse is unassuming but well stocked with amenities that are dispensed by a great staff. It's a good idea to hire a caddy, since the walk is extensive and the layout doesn't come back to the clubhouse at the midpoint. We went in January 2015, weather was 60 deg no rain or wind. Had a great time stayed at the resort 5 STARS. 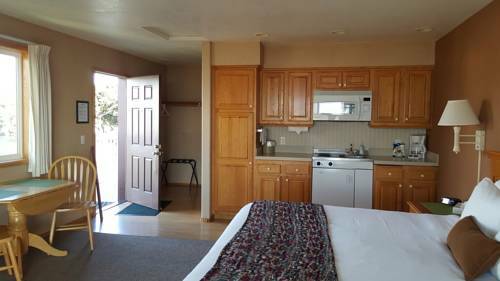 Make sure to bring the camera for panoramic ocean views. 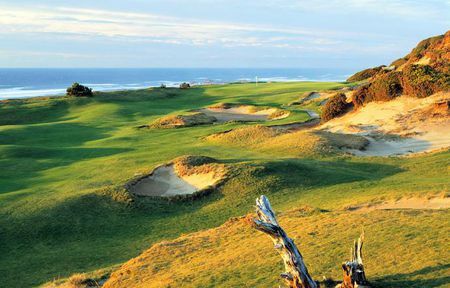 You haven’t experienced golf at its best until you step foot on any of Bandon Dunes 4 top rated courses. Golf is the center of everything at Bandon. 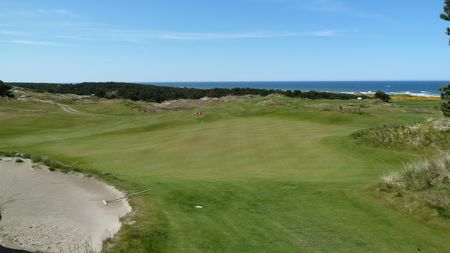 On the remote coast of Oregon Bandon is a tough place to get to, but once your their your in golf heaven. Tom Doak is a master artist and when he designed Pacific Dunes he didn’t leave anything to chance. 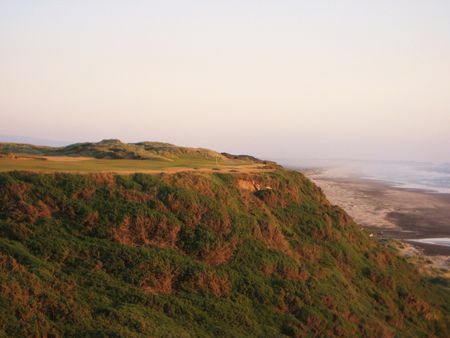 Pacific Dunes was the second course built on the resort but it’s the top ranked. Pacific is as good as it gets for a golfer, even when the golfer is at the mercy of the weather. Each hole is memorable and when you sit at McKee’s after your round you will recall how you played each hole. The routing is ideal to get as many holes on or right at the ocean as possible. You find yourself quickly playing right beside the ocean by the 4th hole. The layout takes you to the water and away 2 times. The bunkers are classic Doak that look like the wind has blow them out for hundreds of years. If your looking for a great deal when visiting Bandon, February is the month for you. It’s alarming when you speak to a Bandon representative and find out they are booked up even in the winter months. When I visited in February we had one morning when we played through rain, sleet, and snow. Then we turned around and had two and a half days of sunshine with highs into the upper 50’s. 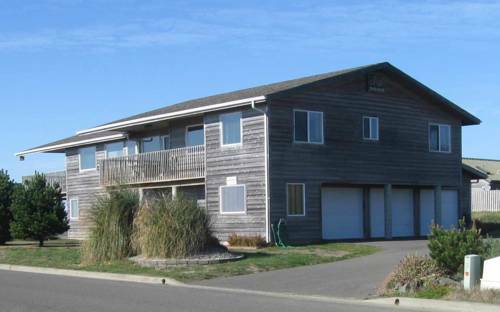 Locals say that February is the best time to visit Bandon when calculating weather and price. A beginner golfer or a lifelong golfer, a boys trip or a couples get away, everyone is welcome at Bandon. Everyone will love Bandon.